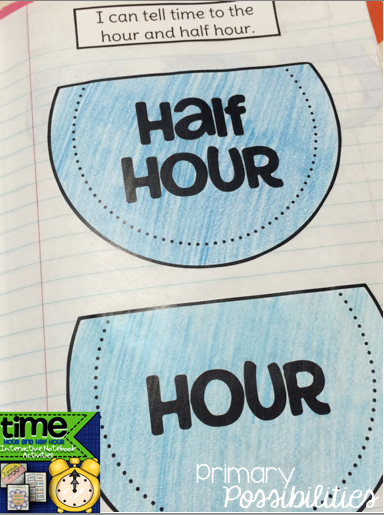 Learning time to the hour and half hour is one of the first grade standards that students seem to pick up super fast or struggle with. Interactive notebooks are always a great way to practice! Students sort clocks into the correct pockets. They can pull them out at anytime and practice sorting them again and again! 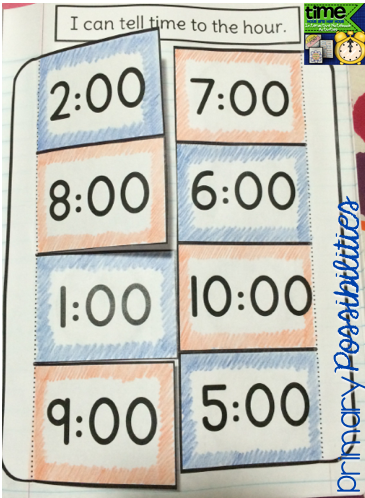 Students write the time under each of the flaps. They can continue to practice the skill by guessing the time and checking the answer by looking under the flap. 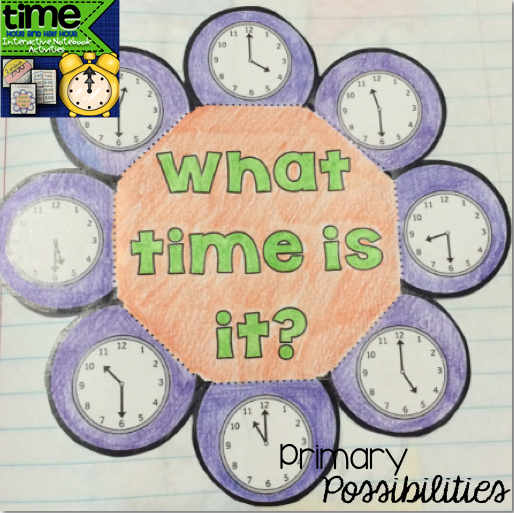 Students match the digital, analog and how we "say" the time. 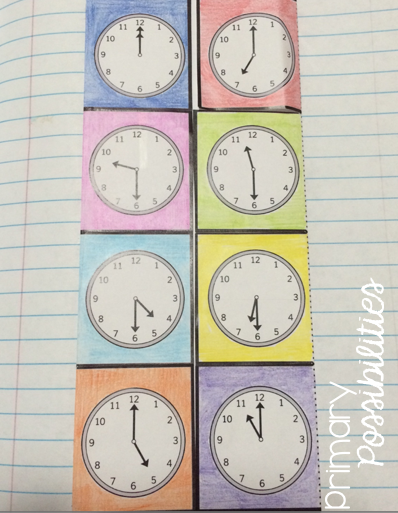 Students match the clocks to the digital time. Students write the digital time under the clocks. Students write the time under the clock flap. 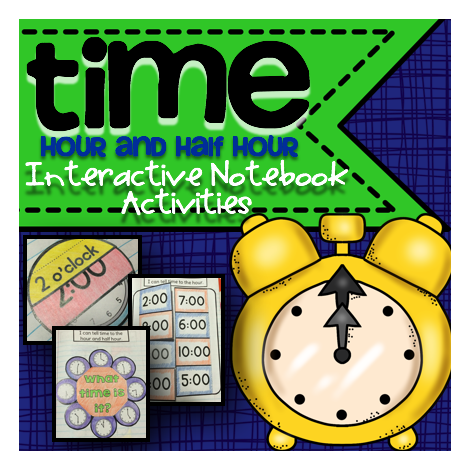 All of these activities include an hour, half hour, and hour/half hour mixed version. 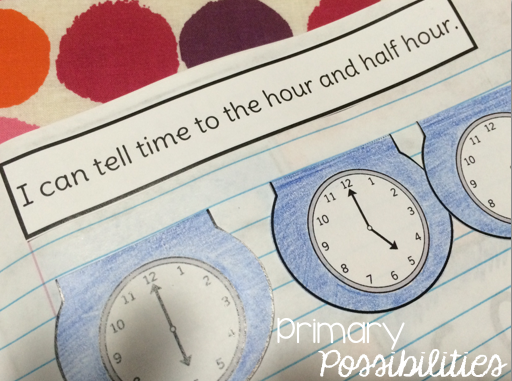 We teach hour first and then move on to half hour so you can mix and match these activities to whatever suits your curriculum! 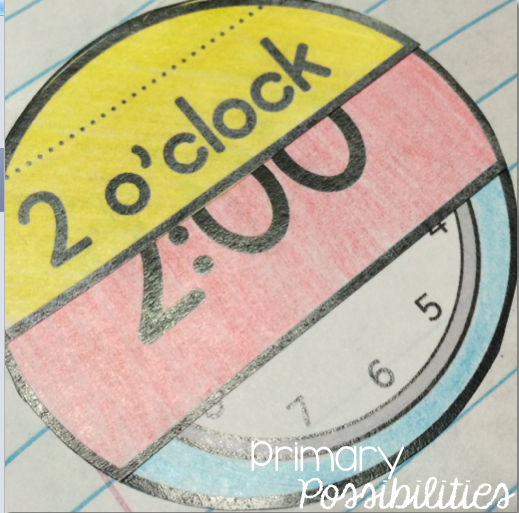 How do you teach time in your classroom? 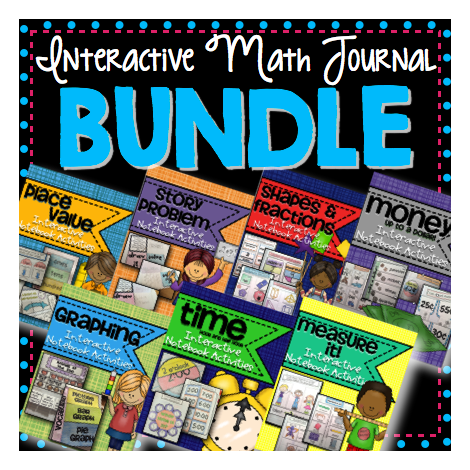 Or you can grab up the bundle by clicking on the image below!